Today we are showing off a final render before tomorrow's big update! 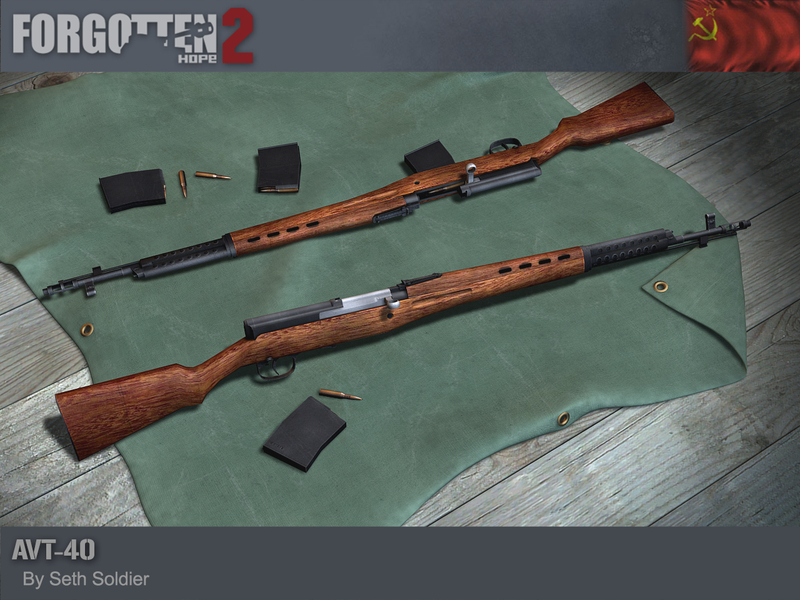 The AVT-40 is a select fire modification to the Soviet SVT-40 semi-automatic rifle. A thicker stock and a slightly modified muzzle break were added to counteract the extra force of fully automatic fire, but the rifle proved difficult to control and suffered from frequent breakages. Put into production in May 1942 to supplement the shortage of light machineguns, it was out of production again by the following summer. Our AVT-40 has been made by Seth Soldier. A more detailed changelog can be seen here. That's all for today, but be sure to come back tomorrow for the release! Until then, feel free to visit our Discord, our public forums, and/or our Twitter and Facebook pages to discuss this update and other news.